First published February 27, 2017 , last updated April 8, 2019 . Reading time: 5 minutes. With so many barber clippers on the market today, choosing the best tool is a tedious task. Don’t worry, we’re here to save your time. We did a little research and bring you a list with the best barber clippers. So here are our top 5 barber clippers. Note: we also compared home-use to pro clippers. Read about it here! We cannot talk about the best barber clippers without mentioning the Philips Norelco 7100 hair clipper – the tool that provides the ultimate performance. 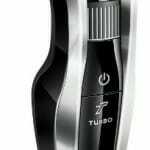 What we have here is a clipper that perfectly combines cordless power, turbo boost and Lithium-ion battery. It comes with an adjustable comb and titanium blades for all the lengths you need. These clippers have a 4.2 out of 5-star rating on Amazon. Out of all the customers who have bought this product, more than 60% have given it 5 stars. Why do people love this clipper so much? Read their reviews here. The blades don’t need oiling. Weakness: not for thick hair. 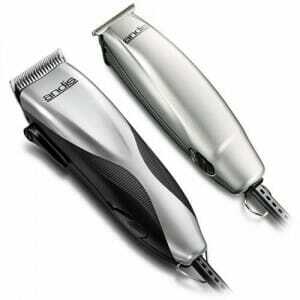 This is the model that outperforms standard rechargeable Wahl clippers by increasing the run time up to two times. It’s perfect for trimming or a full haircut, and the precision edged self-sharpening blades make this clipper ideal for details and touch-ups. Its body is contoured, which makes it comfortable for use. 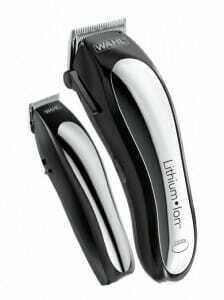 Thanks to the lithium battery technology, this Wahl clipper can be fully charged in three hours and quick charged in 15 minutes. Check here if they still make these fabulous clippers. Comes with many accessories, like multi-cut clipper, 14 cutting comb guides, ear tapers, ear and eyebrow trim guides, styling comb and blade guard, to name a few. This hair clipper the power cut through dry and wet hair, as well as facial hair. It features sharp blades which are angled at 45 degrees, cordless capabilities and various accessories. These hair clippers are the perfect choice for you, especially if your haircuts are easy and fast to complete. Check out what the reviews are complaining about here. A full charge powers the clippers for up to 50 minutes. Weakness: lack of included accessories. Andis Promotor Combo is one of the best barber clippers currently on the market because it features plenty of different accessories that aren’t included in other hair cutting sets and it also provides more power than its competitive products. This product has a rating of 3.9 out of 5 stars on Amazon. Read the features to find out why my hairdresser decided to get these for his salon. Lightweight and stainless steel design. Weakness: the clipper is not cordless. In every list of the best barber clippers is featured an Oster model. 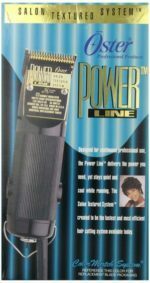 The Oster Power Line clipper is one of the most powerful clippers. It’s the ultimate barber tool proven to stand up to use for many years. 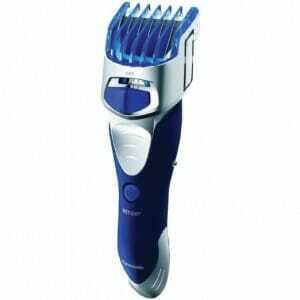 Those who bought this clipper love it for its lasting durability, heavy-duty performance and powerful motor. It’s no wonder why the Power Line clipper from Oster is one of the most popular, durable, reliable and highly acclaimed clippers among barbers worldwide. Click here to see more images with clippers outside the packaging. Works wonders with beards, moustaches, sideburns. That’s our list of best barber clippers currently on the market. Now, choosing the best of the best is not easy, but if I have to select just one model, it would be the Andis Promotor Combo. This model had me at “27 items are included in the set”. Now, it’s not cordless, but it’s a powerful tool and offers numerous accessories. If you’re looking for some of the more expensive models, be sure to check our front page where we have a number of professional clippers listed and reviewed.